If you missed the theatrical release of Mark Wahlberg's go as Max Payne in Max Payne, you can catch it on DVD and Blu-ray starting tomorrow in one of three flavors. All three editions of Max Payne sport an unrated version of the film not shown in theaters, as well as the theatrical cut. 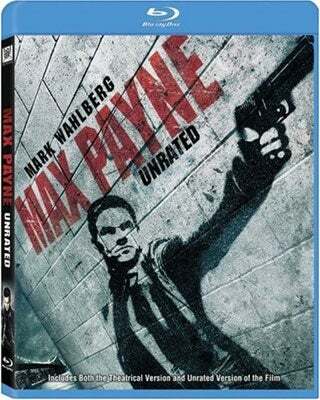 The "Special" edition and Blu-ray disc add digital copies and the bonus features "Michelle Payne" — an animated comic — and "Picture" — a behind the scenes look at the making of Max Payne. The unrated cut of Max Payne adds footage. Three minutes worth. Of what we're not sure. We'd advise against camping out. With a current rating of 18% on RottenTomatoes.com, we're thinking there will be plenty of copies.